Seb is available to accept instructions in all areas of Chambers’ practice. His principal areas of specialism are Employment, Tax, Sport, and General Commercial litigation. In 2016, he was appointed Junior Counsel to the Attorney General (C Panel). Before coming to the Bar, Seb worked for McKinsey & Company as a Research Analyst. Prior to joining Devereux, he worked in the Competition, EU and Trade department at Berwin Leighton Paisner (Sept 2010-March 2011) and in the Litigation department at the Toronto offices of Fasken Martineau (March-Sept 2011). 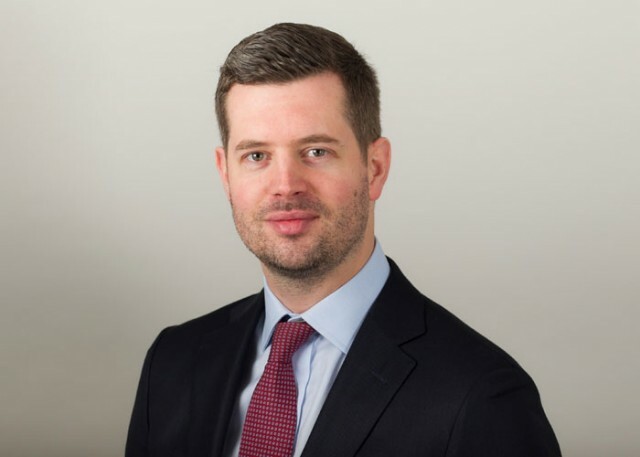 Seb practises in all areas of employment law, regularly in matters of complexity exceeding the presumed experience of someone of his Call and often against more senior opponents including Queen's Counsel. He appears in high-value multi-day hearings on behalf of both claimants and respondents in Employment Tribunals throughout the UK, as well as in the EAT and in the High Court. He is developing a particular specialism in complex discrimination and whistleblowing cases. Seb acts for a wide range of public and private sector clients which include FTSE 100 companies, banks and risk management companies, insurance companies, energy suppliers, telecoms providers, freight and infrastructure companies, high street chains, universities and charities. In addition to his court and advisory work, Seb regularly provides witness training, employment law seminars and mock tribunals for corporate clients. Seb is regularly instructed on behalf of HMRC and taxpayers in both a contentious and advisory capacity. In 2016, Seb was appointed Junior Counsel to the Attorney General (C Panel). He is a member of the Revenue Bar Association. Seb appears regularly in the First-tier Tribunal, Upper Tribunal and High Court in a broad range of tax litigation. His practice encompasses statutory appeals and judicial review proceedings. Seb was formerly an Authorised Agent under the FA Football Agents Regulations. His sports law practice, and extensive knowledge of the sports industry, means he is uniquely placed to deal with tax litigation in a sports context. In addition to his court and advisory work, Seb regularly provides witness training and seminars for clients. Seb accepts instructions on all aspects of sports law, sports governance and sports-related disciplinary and tax matters. Seb was formerly an Authorised Agent under the FA Football Agents Regulations. His extensive knowledge of the industry means he is uniquely placed to deal with sports-related litigation. He regularly advises on contractual and employment-related disputes in a sporting context. His clients include high profile players, agents and clubs, in the UK and internationally. He has recently advised in relation to disputes in England (Premier League, Championship and League One), Scotland (Scottish Premiership), Greece (Superleague), Italy (Serie B) and North America (MLS) (led by Nicholas Randall QC). He regularly acts for clients in Football Association Disciplinary Proceedings. He is frequently called upon to advise on the interpretation of governing statutes and has recently advised on the interpretation of articles in the FIFA statutes, Code of Ethics and Disciplinary Code.